I am very excited to release Practical Bilingualism: A Concise and Simple Guide for Parents Raising Bilingual Children! Read the book's Introduction and peruse the Table of Contents to get a taste of how this unique guide can help your family in the bilingual journey! 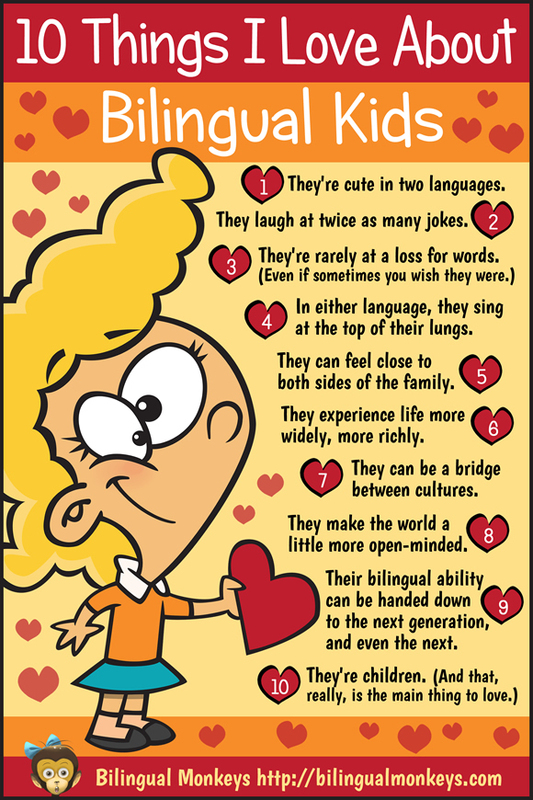 "Ana Paula’s Practical Bilingualism is a very refreshing approach to providing basic and easy-to-follow suggestions for parents raising bilingual children! Her writing style is dynamic and easy to follow along, and the activities and strategies she includes make a fun exercise of daily routines, from daily schedule and caretaking routines, music and art, to bilingual schooling and literacy. The greatest strength in the Practical Bilingualism guide is how freely Ana Paula approaches the topic making the reader feel at ease while providing everyday activities and strategies to enhance bilingualism in the home. This guide and her Purposeful Ongoing Play tip sheets are a must have for parents raising bilingual children, and even teachers educating bilingual children in schools." "When I found Ana Paula's work through Multilingualliving.com, it was an epiphany - I'm not alone! She provides both ideas to follow as a mom raising bilingual children, and as a colleague, she promotes public understanding of bilingual language acquisition in children - dispelling the myths and often hurtful misconceptions that so stubbornly remain despite scientific evidence to the contrary. As both a mom to two trilingual toddlers and as a bilingual speech pathologist, the substantial support Ana Paula provides in her materials gives me the inspiration and encouragement I need during this journey of raising multilingual children." This article discusses results of a longitudinal study on simultaneous bilingualism or bilingual first language acquisition. The author of Bilingual Monkeys, Adam Beck, has a new book out, Maximize Your Child's Bilingual Ability. Recently my children and I learned about the different chemical reactions caused by vinegar. Depending on the surface with which it comes into contact, whether it's baking soda or steel wool or an eggshell, the interaction of the two substances creates different reactions. This is how I view the impact of this book. Regardless of the "surface" of your family's bilingual journey, whether you're just beginning with a heart full of passion, whether you're years in and needing desperate encouragement, or whether you're holding steady but needing refreshing ideas to reboot your system, this book will be a catalyst for positive change. Adam's use of perspectives (ways of thinking) and principles (ways of acting) will certainly bring about right thinking that leads to right doing when it comes to fostering active bilingual language ability in children. He shows us clearly how to set a solid foundation in the minority language and gives us practical ideas for how to keep building upon that foundation. My favorite line in the entire book is when Adam declares what fuels my own passion for the bilingual journey I began with my children many years ago..."They simply couldn't know my soul if they didn't know my language." This book will undoubtedly help ignite and continually renew your own passion and zeal for this worthy cause in very concrete and practical ways!